Healthy skin is skin that's balanced. Phisoderm offers a special blend of cleansers that remove dirt and excess oils while restoring skin to its natural pH balance, just as nature intended it. You can't control all of the factors that change the pH of your skin, but you can give your skin the benefits of a pH balanced cleanser. With a complete line of cream washes and cleansers, gel cleansers and facial cleansing bars, Phisoderm offers options for all skin types. Discover soap-free formulations that gently cleanse your skin and leave it feeling soft, smooth and supple. Phisoderm cleansers are formulated with ingredients that remove dirt, excess oils and debris without disrupting skin's protective barrier that shields it against moisture loss. 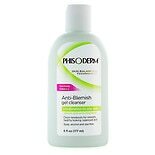 Phisoderm offers cleansing solutions for normal skin, dry skin and skin that's oily and prone towards blemishes. These cleansers are made without drying alcohols and are free of soap and fragrances that can irritate the skin. Phisoderm makes cleansing products for specific skin types. Oily, blemish-prone skin can benefit from the BHA exfoliating complex in Phisoderm products for oily skin, while dry skin can feel softer and smoother thanks to the added emollients and antioxidants in Phisoderm cleansers for dry skin. Phisoderm even makes cleansers for the delicate skin of babies. These gentle and effective cleansers are allergy tested to ensure they're baby friendly. Phisoderm is a brand recommended by many dermatologists to help cleanse a baby's skin safely. 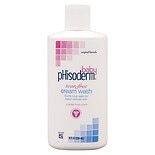 Phisoderm's baby friendly cleansers leave your baby's skin feeling soft with a light, fresh smell. 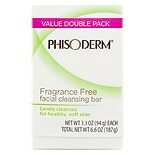 Phisoderm is a company that prides itself on using ingredients that are gentle to the skin yet leave your skin feeling clean and refreshed without the tightness that soap and other harsh cleansers leave behind. Whether you're looking for a cleansing product to rebalance your skin or a cleanser for a particular skin type, Phisoderm offers a number of pH balanced alternatives. Discover the options available to you and your family for safe and effective cleansing Phisoderm-style.